Blogging is attractive to many entrepreneurs and it's no wonder why. Heather Armstrong, aka "Dooce," has built one of the most profitable enterprises in the blogosphere in telling funny, self-deprecating stories about her kids and taking pictures of her dog. Maybe you've wondered...could I make money online with my own blog? Or maybe you already have a blog and you are wondering how to monetize it. The truth is that making money with a blog can be challenging. It's not as simple as setting up a WordPress site and blogging your passion. But with a strategic approach, and the right tweaks, you can make money with a blog. Targeting a Profitable Niche: How will you find the right audience for you blog? Ask yourself the right questions, find a profitable niche and tweak your business plan to align better with profit opportunity. Make sure to fill out this worksheet. 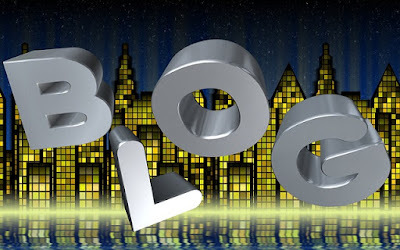 Getting Set Up: Choose the right blogging platform for your blog. Do you want to use WordPress, Blogger or Tumblr? Are you ready to choose your own host? Find all the tips you need here. Building a Following: Many bloggers just starting out figuring, if I write about something interesting to me, my blog will naturally find a following. But it takes more than great content to build a following. Email marketing, press, social media and networking all make a huge impact on how many followers you can attract. Find out more here. Strategies for Monetizing: Finally, the all-important question of how will you monetize your blog? Ads are a natural first choice, but there are many other opportunities, including information products and affiliate marketing. Many bloggers who make a profit do so by taking a hybrid approach. In this article, we'll look at a number of ways to monetize your blog. "Build it and they will come" is an incredibly compelling myth. But that's what it is -- a myth. In order to be successful in any sort of business, you have to build it and then work overtime getting and satisfying customers. When I talk to people about why their blogs aren't making more money, it usually boils down to one problem: they aren't sure who their audience and how to tweak their focus to better serve that audience's needs. So how do you get yourself set up on the right foot? You choose a profitable niche, even if means tweaking your original idea. Can I reach my potential customers in a cost-effective manner?" Once you know your niche, identify your competition. Make a list of publications and blogs that serve the same niche. What choices are they making in terms of design, content, and positioning. Doing this analysis is a critical step in identifying how you can set your offerings apart. You may want to start a travel blog, for example, but your research on the competition may tell you that focusing on the cruise experience may help you reach the most readers.